This paper examines the relevance of research on scientific discovery learning in simulations to professional legal education simulations. There are striking similarities between the research findings from this domain, and our experience of running simulations in law in the Glasgow Graduate School of Law. However, simulation learning depends on factors that arise not only from the design of the simulation, but also from the environment of implementation. 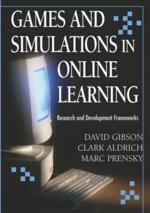 We argue that, while the paradigm of simulation research represented by many of the studies on scientific discovery learning is a valuable one for law and other disciplines, the educational effectiveness of e-simulations also depends critically on three factors: design of learning outcomes, type of simulation field, and the organisation of communities of practice around and within a simulation. These factors demonstrate a fundamental need to re-configure design concepts around the potentialities of the emerging new medium in the form of a new ‘trading zone’.